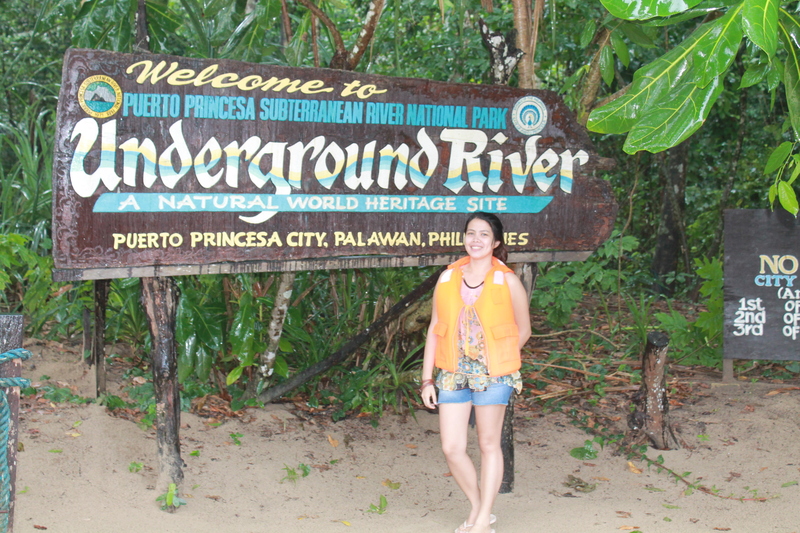 Located 80 kilometers north of the city proper, the Puerto Princesa Underground River is part of the 3901- hectare wide Puerto Princesa Underground River National Park providing home to thousands of flora and fauna in the Philippines. Located on a limestone karst landscape, the Underground River boasts of stalactites and stalagmites navigable up to 4.3 km long. My journey to the river was both magical and sublime. It felt like slowly moving toward a delicate piece of beauty, to a different world only a few can fathom. Truly a wonder of nature! 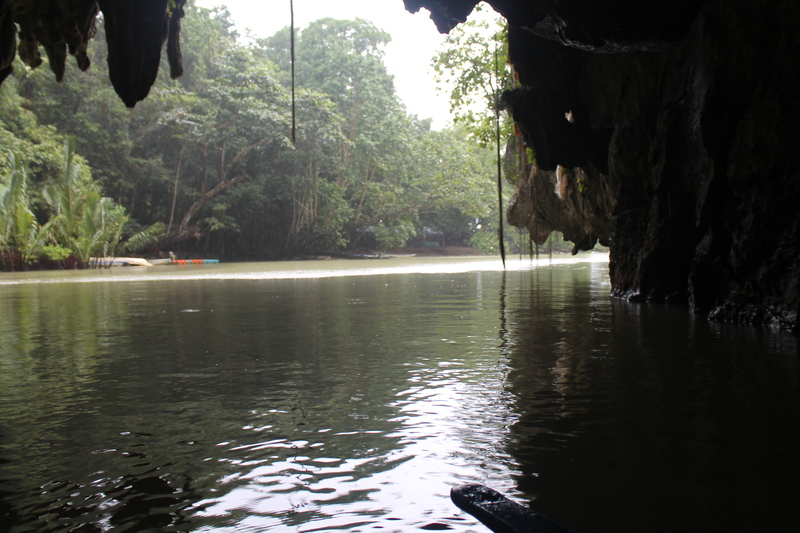 Our journey to the river began from our hotel to a 2 hour van ride to Sabang- a small village in Puerto Princesa that serves as a gateway to the Underground River. We were included in a group consisting of 2 Koreans, 2 Saudis, 2 Italians, an Australian and 8 locals including us. Talk about international ei?haha. The ride was fun since there was a tour guide who just kept talking and talking. He asked us to introduce ourselves to everyone in the van. 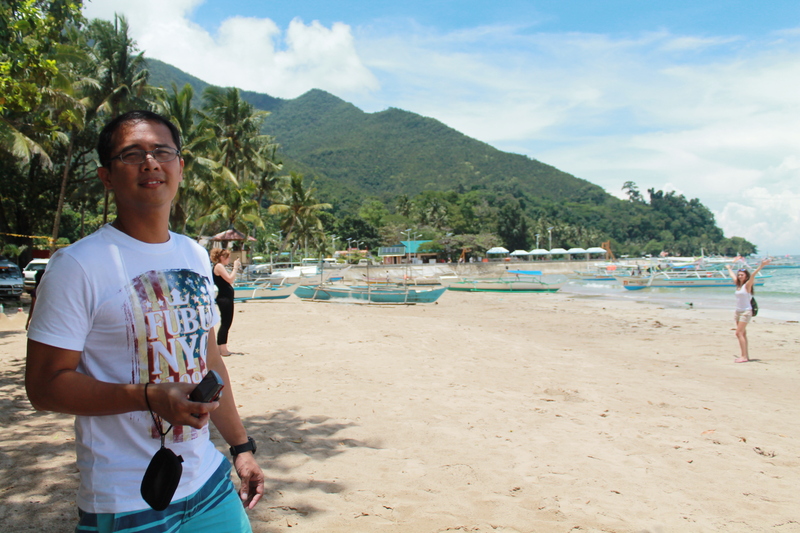 He did prepared some FYIs about Palawan and asked us geography questions we were not able to answer. Overall, the commute was fun and informative. 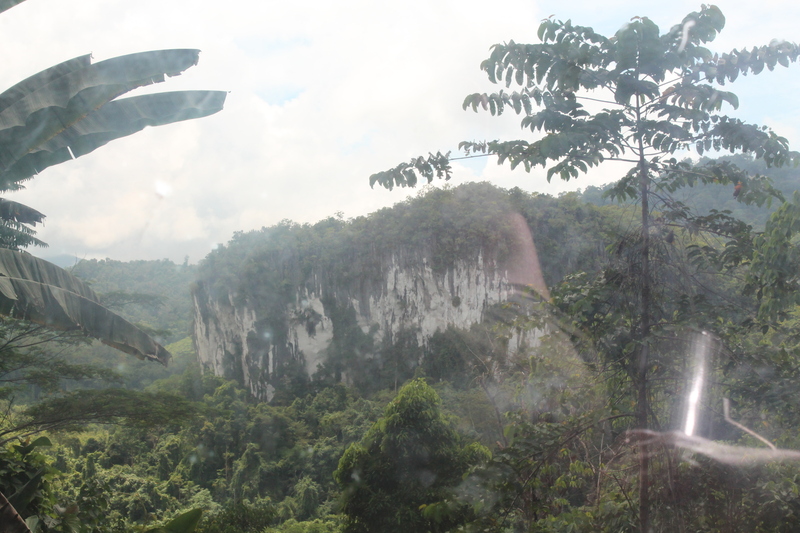 A limestone karst mountain indicative that we are nearing Sabang. This is the end point of our ride. From here, we shall take a pump boat to take us to the entry point of the river. 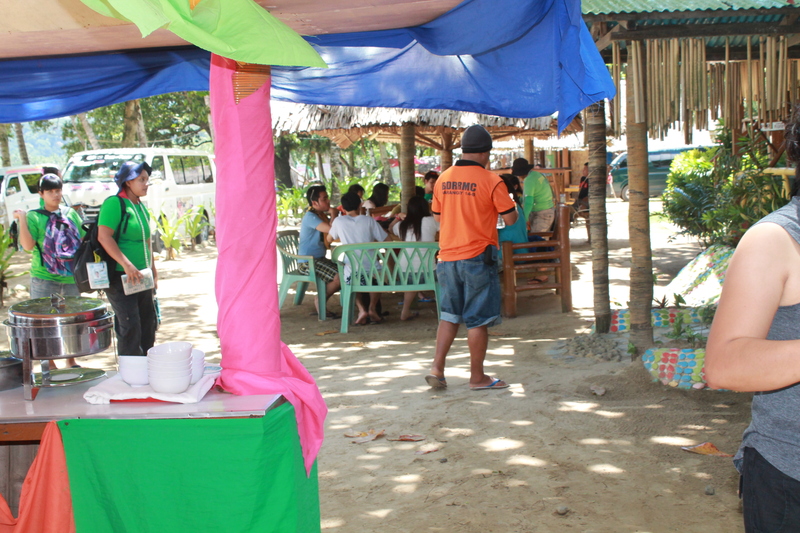 But before we all get too excited to hop in one of those boats, we had lunch first! 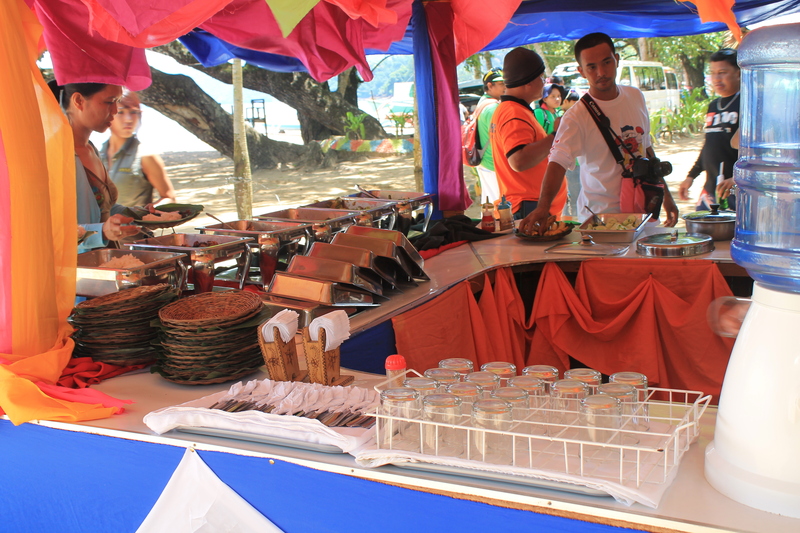 Lucky for us, since we booked on a travel agency(at 1,300php/person all in), we were served with a lunch buffet! Full and ready, we were ushered by our tour guide to the port so we can wait for our pump boat. Booking an agency has its perks, if we did a DIY itinerary, we would have to arrange for the pump boat and the entrance fees to the river. Our tour guide arranged it for us diminishing the hassle of lining up to register at the Underground River booking office. 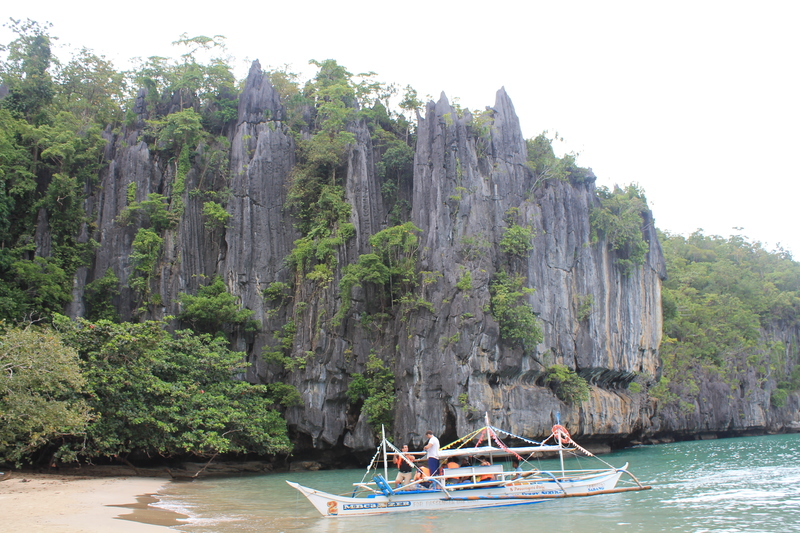 We visited Palawan on an off peak season yet the place was still packed with tourists. 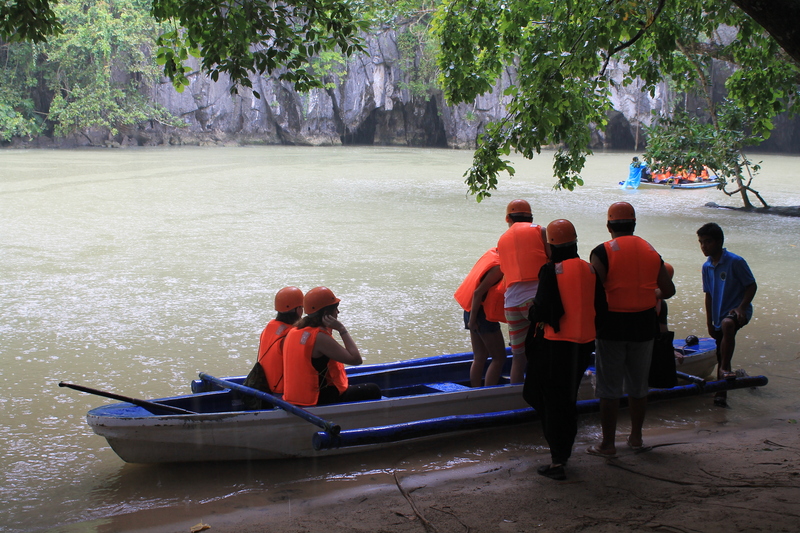 According to our tour guide, ever since the Underground River was named as one of the New Seven Wonders of Nature, the number of tourists, locals and foreign alike, have tripled. Long line of tourists waiting for their turn. And our turn at last! 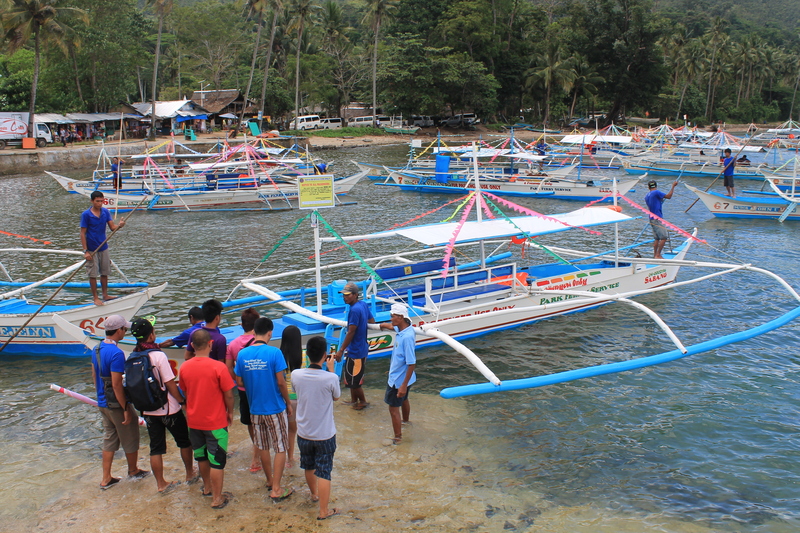 The travel to the Underground River entry point was a mere 20 minute boat ride from the port. On our way there, we enjoyed the vast scenery of the National Park. 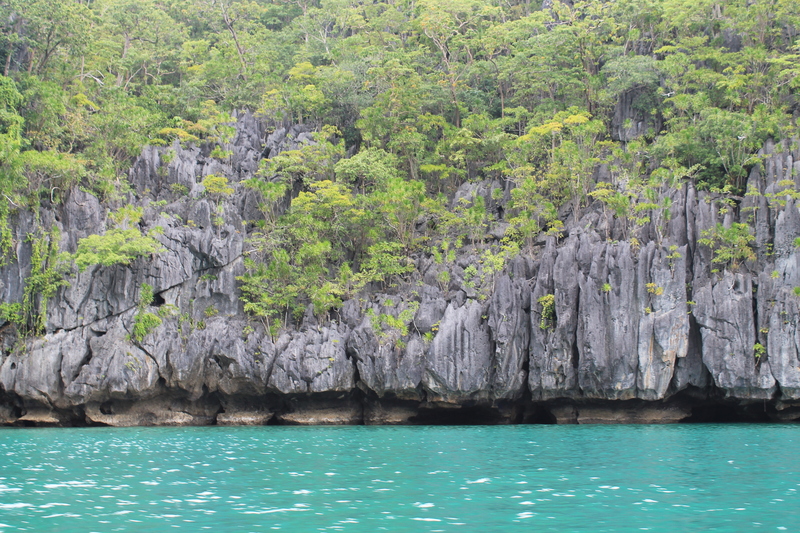 The limestone karst mountains were a sight to behold. I’ve seen it in Facebook pictures of friends who have been here but seeing it in its grandeur is a dream come true. 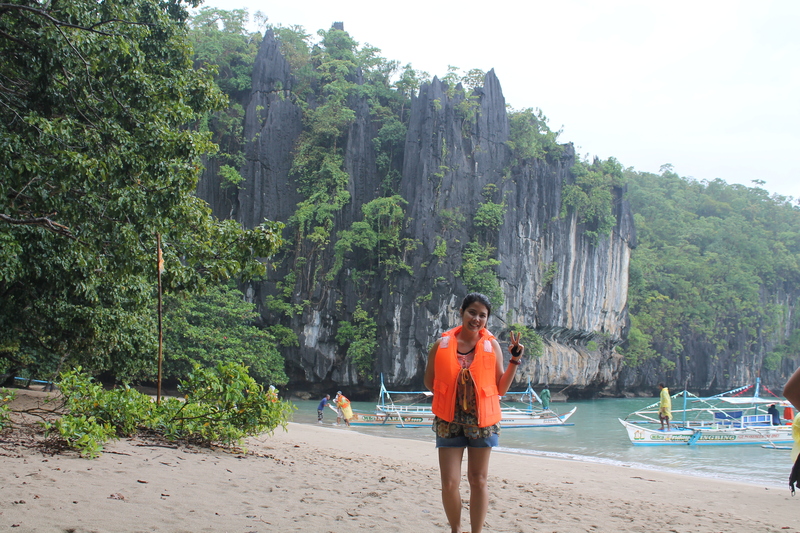 I never thought I’d experience Palawan like this! Our boat had just docked and we are a few steps away from conquering the coveted river. From the docking point, we have to hike through the forest to the rangers hut. This is a 150m trek called the Monkey Trail since Macaque Monkeys are all over the trail waiting to grab something from you. Mind you, these monkeys are quick. 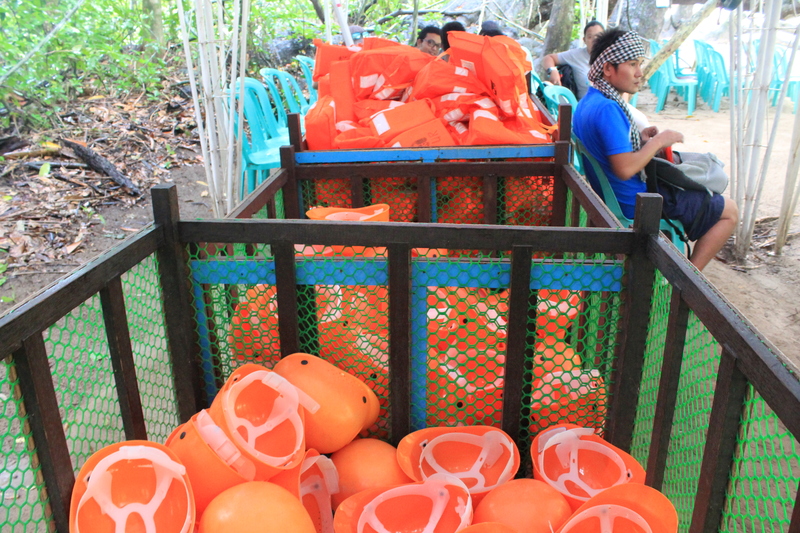 While we were in the boat, the tour guide briefed us that while we are on the trail, we should keep our things inside our bag. If they happen to see that you are carrying something, especially a plastic, they would, most of the time associate it with food and grab it from you. Rest assured if you follow the rules, you wont be snatched from anything. Arriving at the ranger’s camp. 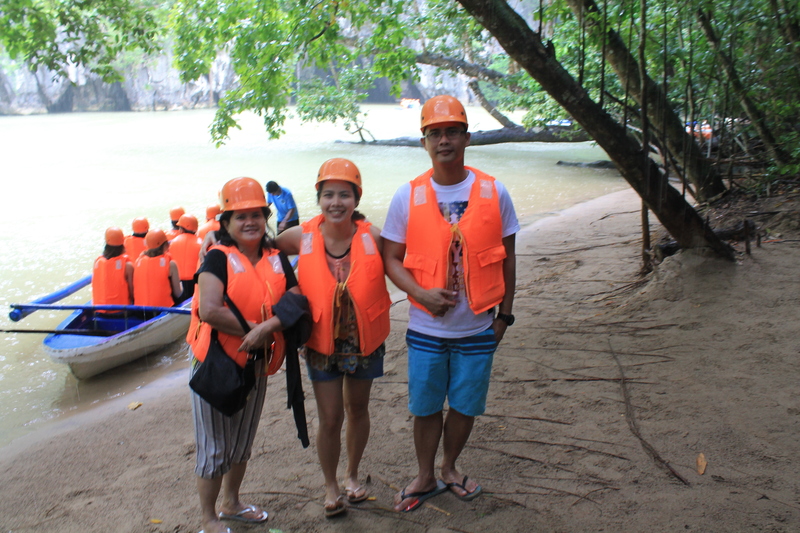 Tourists are asked to be in full gear while navigating the river. This means that we get to wear a hard hat and a life vest. 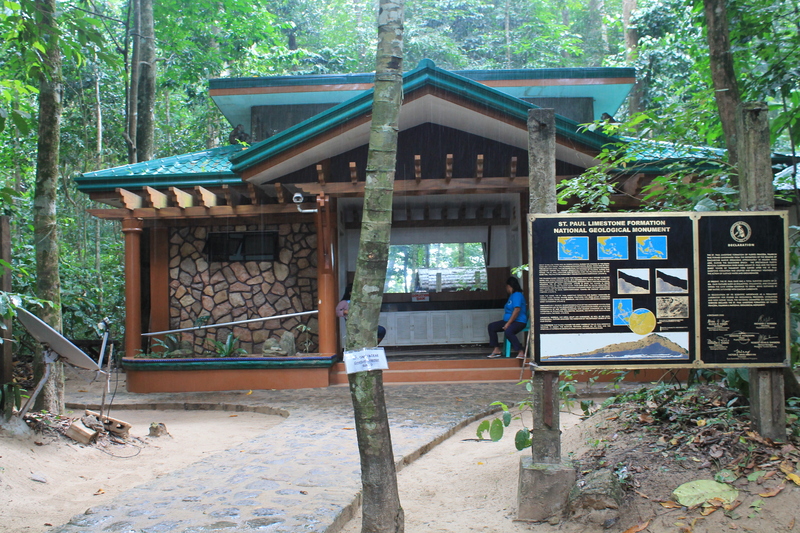 The entry to the cave is monitored by the park rangers. 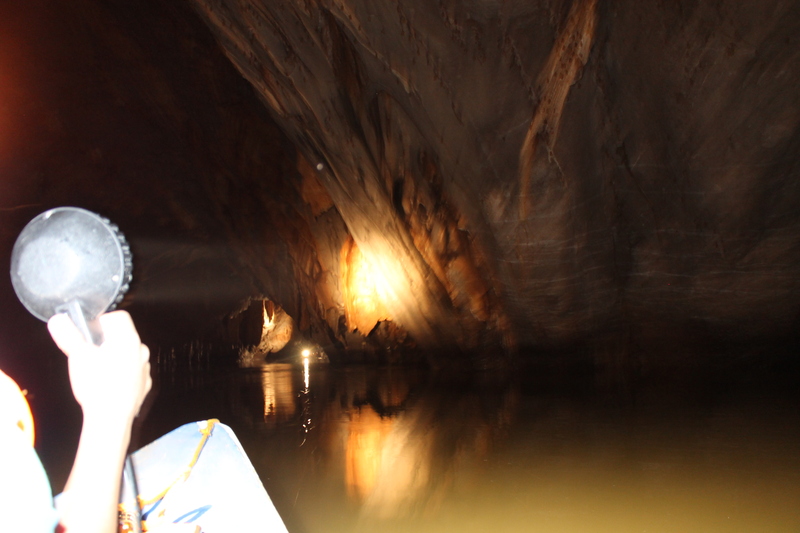 A canoe can take up to 6 persons inside the cave. It is paddle by the canoe’s captain which would also serve as the tour guide. One passenger would be assigned as the light keeper wherein he would point the flashlight to certain areas in the cave as instructed by the captain so others can see. If I were you, don’t volunteer to be one cause you might not enjoy navigating the river. Once you are inside the cave, you will be in total isolation. You will be entering a different dimension. Pitch black- darkness and silence engulfing the vast cavern. Then the captain says something and everyone is laughing. I guess the guides slash captains are briefed and trained to include jokes in their itineraries. 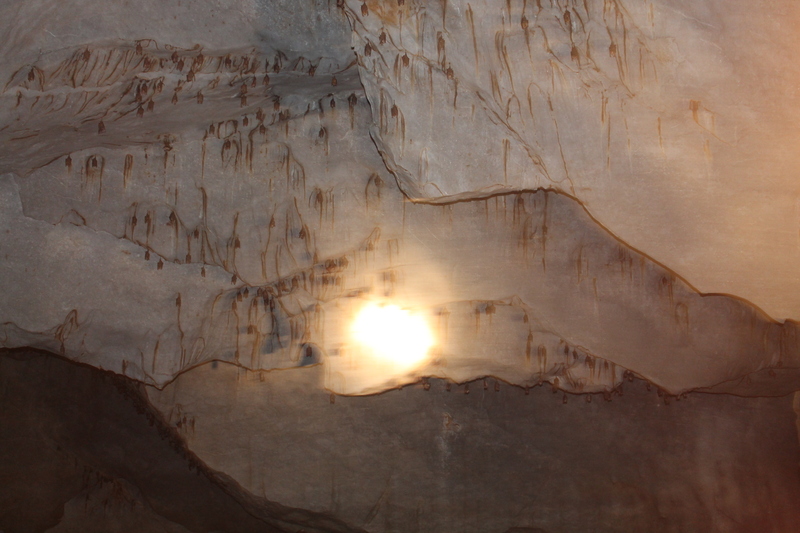 The cave houses a staggering number of 400,00 bats giving the cave that urine-like odor. 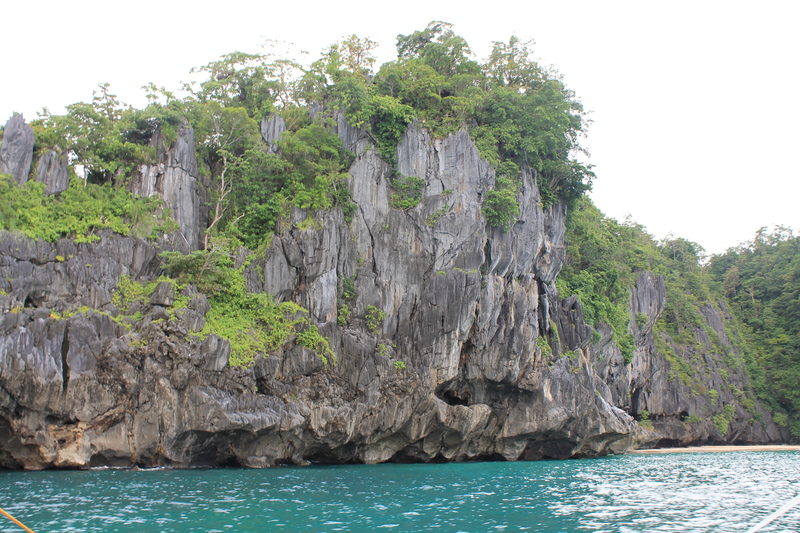 Everyone was just in awe seeing the different rock formation inside the cave. We were just saying WOW from one stalactite to another. The view was just uniquely breathtaking! Stalactites and stalagmites of different shapes and sizes adorn the vastness of the cave. Memorable features include the Cathedral, a hug chamber that houses stalactites resembling Mary, Jesus and other biblical figures. Because of the darkness, a simple camera lens cannot capture the full extent of the cavern. 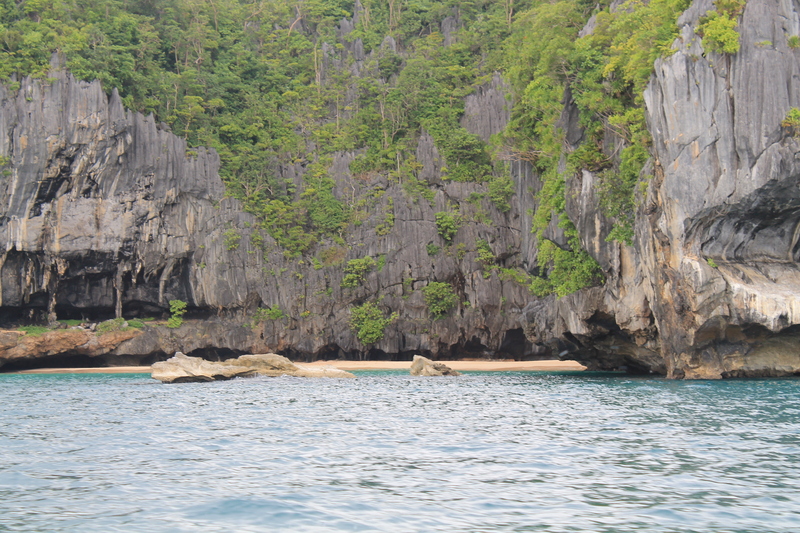 I myself stopped taking pictures and opted to enjoy the expedition and listen to the jokes of the boatman. 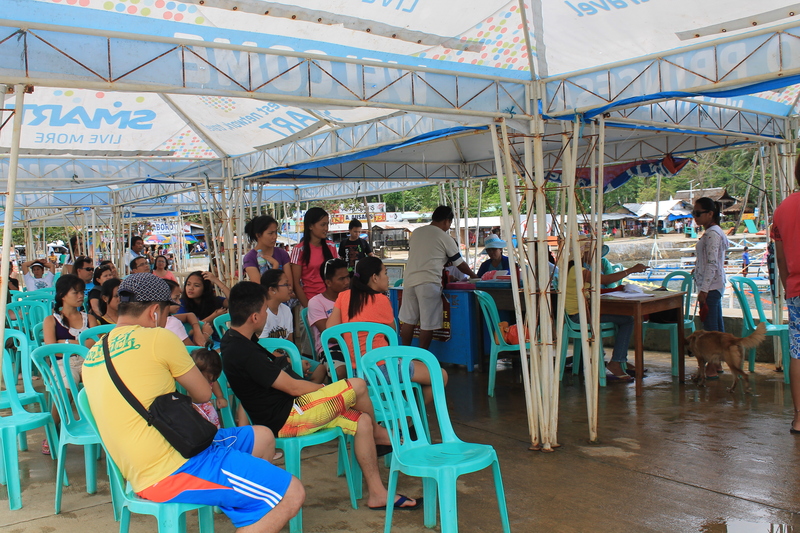 The river is 8.2 kilometers long but visitors get to navigate only 1.5 kilometers of the river. One can travel up to 4 kilometers but a special permit is needed for you to do that. Only those on scientific expeditions are allowed to go that far. 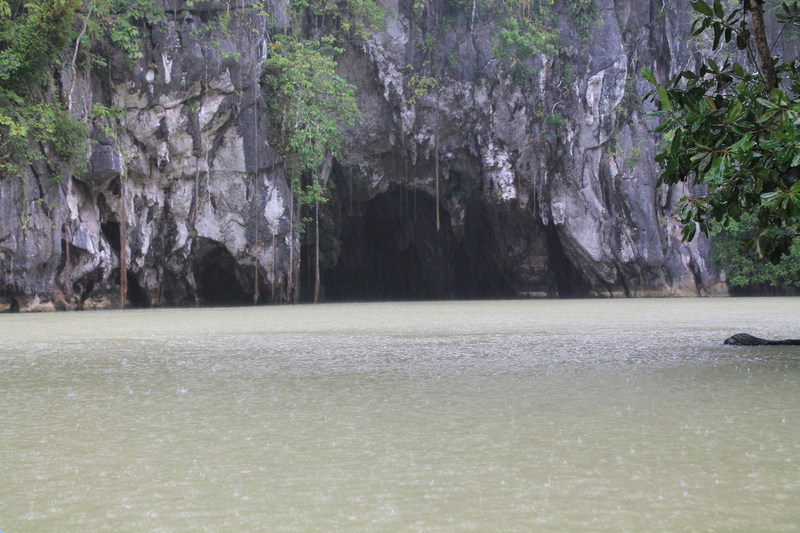 FYI: The presence of 11 minerals, scientifically and aesthetically unique speleothems, and a 20 million year old Serenia fossil embedded in the walls of the cave justifies the declaration of the Puerto Princesa Underground River as one of the New 7 Wonders of Nature. 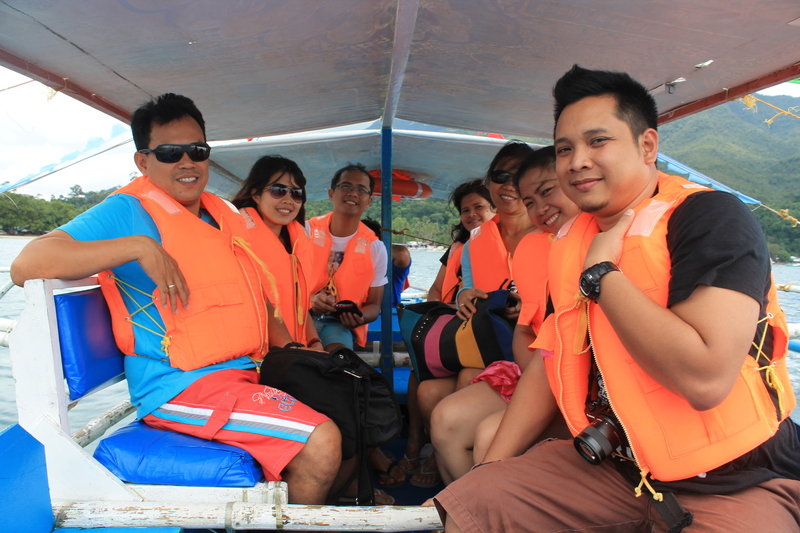 Nearing the end of the 40 minute boat ride. The trip to the river was something I’ll treasure for the rest of my life. It made me very proud of my country and the experience further fed my need to explore everything this country has to offer.